I've used a SteriPen Adventurer Opti for about 2,500 miles of backpacking trips, including the entire Appalachian Trail. I have also tried many different batteries companies that make the CR123 needed for this unit. Streamlight has been my top pick everytime with both cost-effectiveness, and overall longevity and useages per battery set. Like everything in life, there is no perfect water treatment, just a really good compromise. Durable -if not directly dropped, this unit has held up to many nights of being jostled about in my tent, and many days of use and being jostled in my pack. 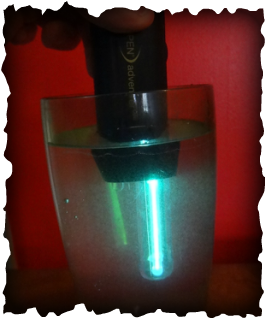 Easy to Use - simply push the button once for 1 liter and twice for 1/2 a liter, wait for the blinking light, and then drop the bulbs into the water (not the whole unit, as the battery cover on the back isn't sealed against submersion). Fast- 90 seconds for a liter of water, and you can be hiking while you treat it (just don't trip). No filters to replace or anything to clog- I like the simplicity. Need to Pre-Filter Silty or Particulate Rich Water- not a major issue for me, as I use my Buff bandana doubled over, as a strainer that I pour the dirty water through. Not perfect for if I'm careful about my selection of water sources, then it isn't really an issue. Needs Batteries- Depending on your water use, you may need to pack extra batteries with you. However, at only 3.4 oz. with a pair of lithium Streamlight batteries in it, bringing an extra set won't add very much weight. (I tend to get about 1.5-2 weeks of use on a single set of batteries in normal 3-season conditions, equivalent to about 90-100 liters). Summary: I wouldn't keep using it if I didn't think it was working. I have yet to become ill when treating all my water with the SteriPen, and after 100+ days of use I feel confident in its reliability. Like any filter, it also needs to be kept from freezing if used in cold temperatures. To avoid any risk of battery corrosion, remove the batteries for long periods of storage. A+ all around.